We have specially designed 2 sets of robotic accessories for educational purposes. 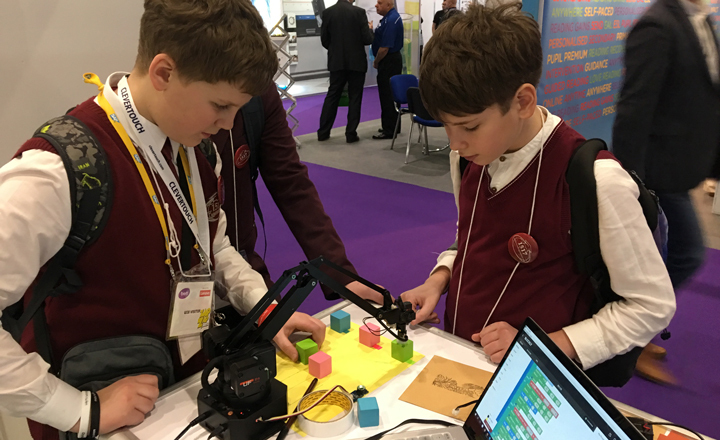 The Educational Kit, including a uArm Slider Set and a uArm Belt Set, enables students to gain professional know-how and experience with robotic automation technology. Students can now have real industry experience to gain a competitive advantage amongst industry peers. Robotic automation is the future of manufacturing; thereby, robotics education is crucially important. Unfortunately, the closed source industrial robotic system is inflexible and expensive, making it not an ideal tool for the hacking and learning purpose.That’s why we make the uArm automation educational kit for robotic researchers and students! Robotic automation is the future of manufacturing; thereby, robotics education is crucially important. 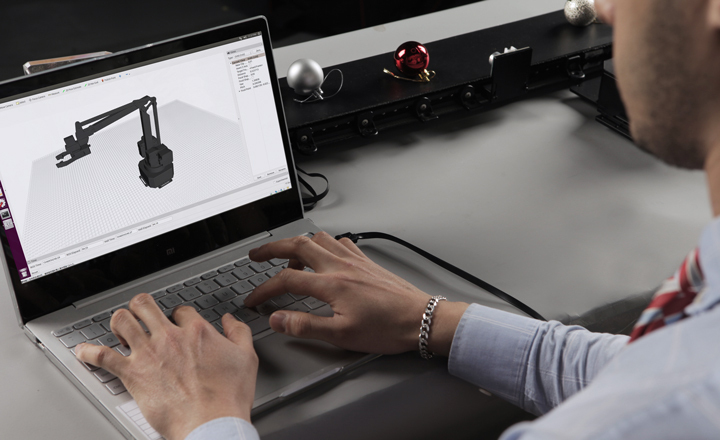 Unfortunately, the closed source industrial robotic system is inflexible and expensive, making it not an ideal tool for learning purpose.That’s why we make the uArm automation educational kit for robotic researchers and students! The uArm Slider Set and uArm Belt Set is based on an industrial automation setting and workflow, allows everyone to inspect and modify. It enables students to gain insight into robotic automation technology through the first-hand experience. With such hands-on experience, the competitive advantage of students will be enhanced. Robotic automation is the future of manufacturing; thereby, robotics education is crucially important. Unfortunately, the closed source industrial robotic system is inflexible and expensive, making it not an ideal tool for the hacking and learning purpose. That’s why we make the uArm automation educational kit for robotic researchers and students! The uArm educational sets simulate the application processes commonly used in industrial automation applications. 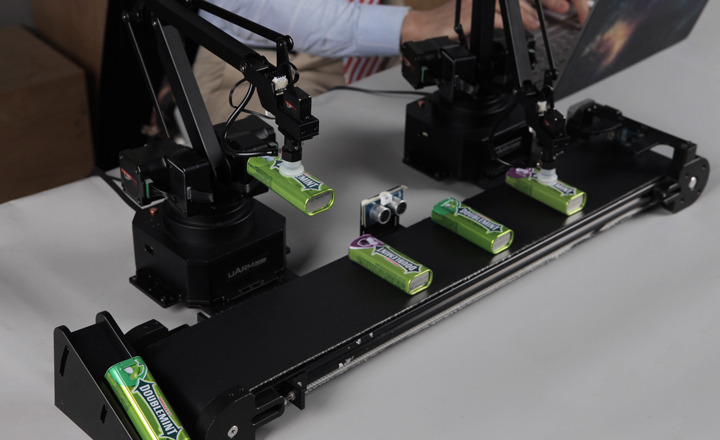 It realistically restores automated palletizing scenarios with a slider, conveyor belt, robotic trailer loading, and unloading system, and detection sorting scene replication. This educational kit is constructed from top to bottom with open source, students can learn about the underlying source codes and the core automation control principles. Instead of using complex industrial machine languages, you can start writing a program in Python to operate the automation system. Students are not only able to operate the equipment but also learn about the theory of how multi-robots collaboration in the industrial automation process, such as the operating mechanism amongst robotic arms, sensors, and peripherals. 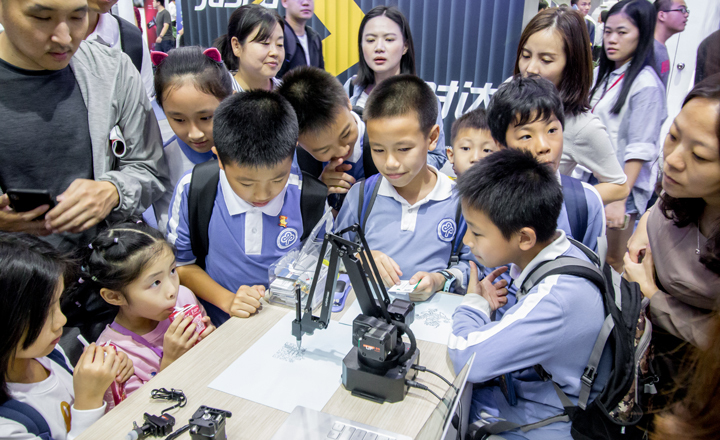 Students will be able to learn from the scratch to gradually master the motor-control technology, sensor application technology, robotics, motion control, as well as other practical operation technology, robot installation, fault detection, and treatment.